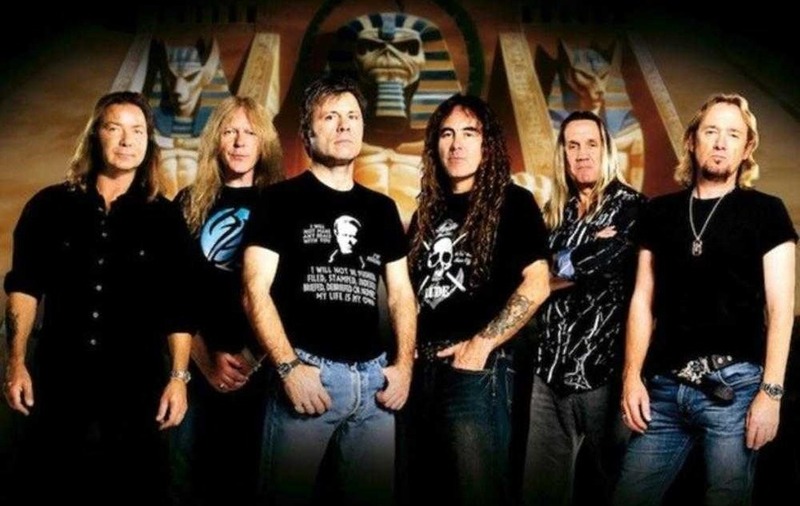 IRON Maiden's 16th studio release is a significant one, after singer Bruce Dickinson overcame tongue cancer to return to the fray. Certain lyrics such as "I walk in the shadow of the valley of death", which Dickinson sings on Shadows Of The Valley, take on new significance. The London-based heavy metal group's ambition and bombast is undiluted on a two-CD or three-LP monster spanning 92 minutes. It is over 90 seconds before the trademark guitar kicks in, but once established, it rampages across If Eternity Should Fail and the epic The Red And The Black. Dickinson's closing 18-minute solo composition Empire Of The Clouds is Maiden's longest song to date. A much-welcome return. MUCH-loved in her native lands, When I'm Free has the potential to see Scandinavian songstress Ane Brun gain a similar following over here. Mastering the art of melding the stark with the subtle, the 39-year-old singer captures and freezes moments until they gently fade and wander on. With the soaring instrumentation of opener Hanging, the album takes you on an exploration of yearning. Gentle rhythms build in Black Notebook and primal drum beats sound out in Directions, while the feel and spirit of the entire record is encapsulated in the atmospheric beauty of Still Waters. Though it may be lacking in a little momentum and variation of previous output, Brun's seventh album still has what it takes to make a noticeable imprint on both alternative and pop music. THE Norwegian pop trio announced their retirement and said farewell to fans in 2010, but Magne Furuholmen, Morten Harket and Paul Waaktaar-Savoy have had a change of heart and are back with their tenth album. Their trademark electronic, stadium-filling tunes are evident here, and you can hear what has influenced Coldplay and Take That of recent years. 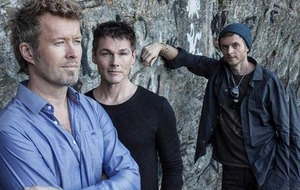 Harket's vocals are as soaring and heartbreaking as ever; Under The Makeup features melancholic strings, which hits the listener right there. The general feel of this collection is midtempo and contemplative – Forest Fire is as lively as this album gets. After a few listens, it's clear that A-ha still know how to write a song that will lodge in your brain. DAN Auerbach may have filched the White Stripes' blues rock duo template with the Black Keys, but he's also assumed Jack White's workaholic nature, with recent production duties on Lana Del Ray's Ultraviolence and now setting up a new band, The Arcs. For their first album, he's roped in Dap-Kings drummer Homer Steinweiss, saxophonist Leon Michels, bassist and Mark Ronson collaborator Nick Movshon, and the Shins' Richard Swift. It's a lush, polished affair with Auerbach's world-weary rasp bathed in fuzzed-out Seventies rock on tracks such as Put A Flower In My Pocket, the mariachi storytelling on Pistol Made Of Bones and the freaky funk of Midnite Vultures-era Beck on Outta My Mind. Best of all is the warm falsetto soul of Stay In My Corner, which sways and builds quite beautifully. This is a diverting side project, but for all its tapestry of sounds, there is little of the pop immediacy that has turned the Black Keys into a headlining stadium act. IF IT looks like a cult band, swims like a cult band, and quacks like a cult band, then it must be just that. Blank Realm are an Australian quartet – siblings Daniel, Luke and Sarah Spencer, and guitarist buddy Luke Walsh – who might be called out on their lack of 21st century vision. Illegals In Heaven, their fifth album, consists largely of frequent servings of psych-soaked garage rock launched from generations past. Yet, highlighted by its six-minute closer, the soulful, mournful, intoxicating wig-out of Too Late Now, plus the jerky Costume Drama, the pretty Pretenders-meets-Mazzy Star of Gold, and the synth-driven Carnaby Street cool of Palace Of Love, that Blank Realm are wearing their influences exceedingly well. The greatest cult bands don't decay and die: they quietly multiply. This Brisbane quartet are both unassuming and a treat on the ears. RETURNING to her hometown for a sell-out show last September, Lisa Stansfield proved she is still at the top of her game live, with highlights from her long and successful career. Spanning songs from her debut Affection through to last year's Seven, Stansfield had the audience in the palm of her hand. Beautifully recorded at Bridgewater Hall, this two CD-set certainly captures the excitement of the show. Naturally, the highlight is still the song that first brought her to attention, All Around The World, but check out Change and Can't Dance to experience one of Britain's most enduring and popular female singers at her best.